A CD Drama is a form of Japanese media, similar to a radio show, or, in this case, anime told through sound. The story is narrated on one or more CDs with accompanying music, sound effects, voice acting, and often a picture booklet. Myuutsuu no Tanjou (The Birth of Mewtwo) is one such CD Drama. It serves as a promotional tie-in, created after Mewtwo Strikes Back, and, as you might guess from the title, it explores in more detail the story of Mewtwo's creation. 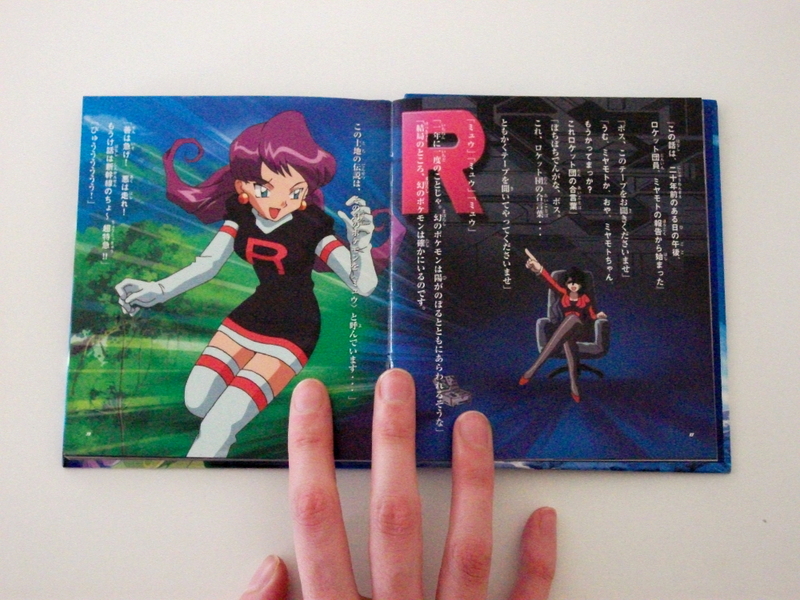 It divulges new information about the past of Team Rocket and the organization's interest in capturing Mew, introducing the new characters not present in any other medium: Madam Boss (Giovanni's mom) and Miyamoto (Jessie's mom). We also learn about Dr. Fuji's daughter Ai and why he is so desperately involved in cloning research. 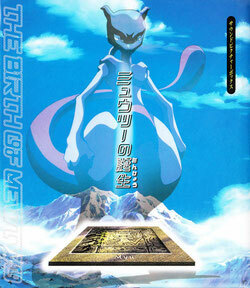 The Birth of Mewtwo CD Drama is only available in Japanese, but it can be purchased at online stores such as Amazon.com. The CD Drama was never dubbed in any other language, probably because CD Dramas are basically unheard of in the United States, and the Pokémon franchise outside of Japan is primarily geared toward the American audience. More specifically, it targets a young American audience, which leads to another problem: the actual content of the CD Drama. While it has a very good plot with a strong message, the story of Mewtwo's creation is pretty dark, discussing death and the cruelty of cloning. American censors are much more uptight about things like that, and this is probably the primary reason the CD Drama was never officially translated. However, without this piece of the Mewtwo Saga, we lose crucial information regarding Mewtwo's character and motivation. He is not just some super-powerful Pokémon villain out to destroy the world for kicks. Mewtwo is the way he is for a reason, and without access to the story of The Birth of Mewtwo, the explanation is lost. Luckily, the dialogue of the Birth of Mewtwo has been translated and made available online. The following translation was originally purchased by Mondu and posted with permission below. As alluded to earlier, The Birth of Mewtwo also comes with an extremely delicate booklet containing some awesome artwork illustrating the events that occur in the drama. Despite the care taken in creating the images, the booklet, on the other hand, is unfortunately held together with mere staples. It extremely easy for the pages to tear out or become damaged. Therefore, not many high quality images of the Drama booklet exist online. I must thank everyone who has ever provided me with scans or photographs of their drama booklets over the years. Packaging and Other Images - WIP for now!